Lino is an 11 month old gorgeous dark sable male. 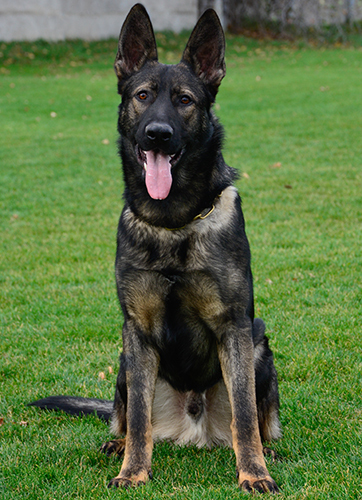 He has been raised in a family and trained daily for dog sports since 8 weeks old. 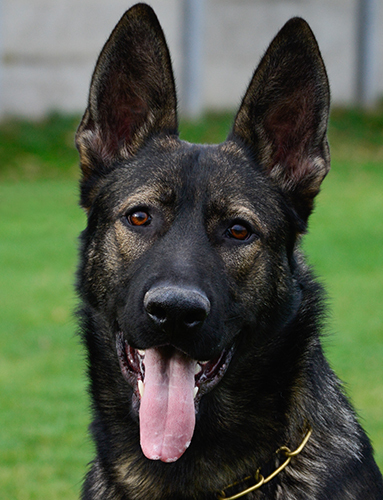 Lino's ability is very much on par with dogs in our Elite Family and Estate Protection Dog. At this age Lino's elite training would require more time than we usually allot to complete. 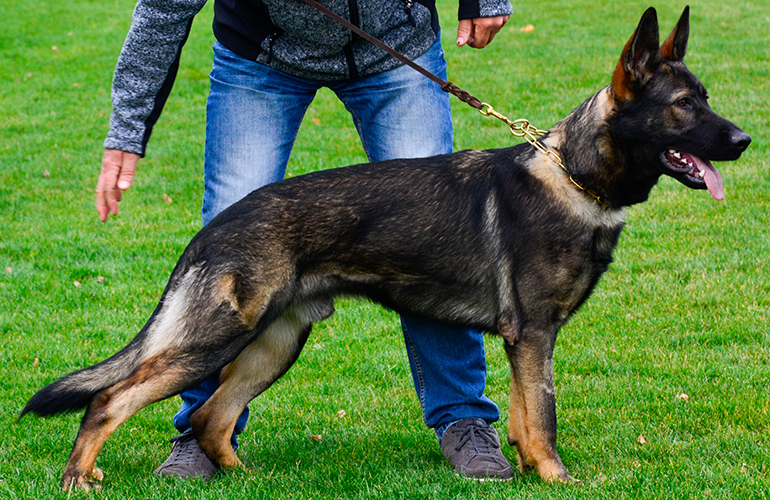 As a result Lino is available with our Executive Protection Dog training (including our new Protective Escape exercise).